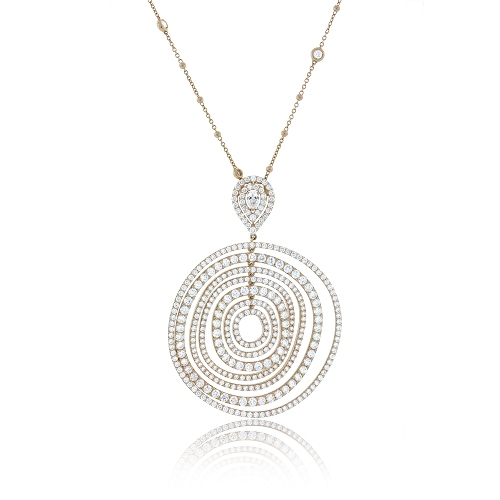 Round pendant set with rows of large and small round brilliant diamonds mounted in 18kt rose gold. Diamonds approx. 13.30ct. Necklace 34".